Kim Bemis has always loved music. She can’t imagine her life without it! As a small child, learning to play the piano was something she longed to do. Her mother began giving her piano lessons, but she longed for the day she would have a “real” piano teacher! When that day arrived it was one of the happiest of her life. And did we mention she loves to sing? Maybe even more than playing the piano! So Kim’s Kindermusik classes are filled with her singing and musicality. Parents and children alike have enjoyed her smile and laughter that is always a part of class and look forward each week to coming to sing and dance with her. Kim has the conviction that every child is musical and he or she will benefit from being a part of the 7 years that Kindermusik offers. She loves the way the whole child is affected by the music, movement and activities that are a part of every level of every Kindermusik. Kim especially likes the Kindermusik philosophy of not forcing a child to do something they don’t feel comfortable doing. Music is supposed to be a fun activity and when a child is ready to fully participate, they will do it with joy! Kim also loves working with the parents to help them feel comfortable in the role of being their child’s most important teacher. Being a resource and sounding board for the parents in her classes is very exciting for her. Kim has taught piano lessons a lot longer than her Kindermusik classes. She began teaching piano by giving lessons to her piano teacher’s son when she was in high school. This hooked her and she has done it off and on since then. In 1990 she opened Bemis Piano Studio and has taught ever since. In 2010, after looking and researching the Simply Music Piano Method for many years, she received her license and has taught the program since then. Kim’s piano studio has grown over the years and currently has 2 other teachers offering Simply Music piano lessons. Kim is a Hoosier and studied music education at Butler University with a concentration on piano where she also received her training in all levels of the Kindermusik curriculum. 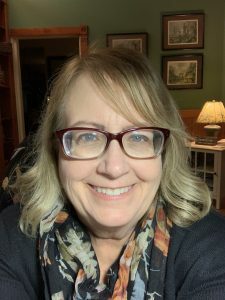 She is a member of the Partnership of Kindermusik Educators, and in the past has served on the executive board, Kindermusik Educators of Central Indiana where she is the past president, and Indiana Piano Teachers Association. She is an active member in her church and has participated for years in the choir and on the vocal team. 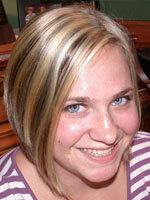 She has also been music director of several children’s musicals at her church and the musical director for VBS. Kim has 3 grown children who have given her 7 grandchildren. She and her husband, David, live in Westfield. Laura Newby has been a licensed Kindermusik Educator since 2001 and even before that she worked as an assistant in the Musical Beginnings’ summer camps and Young Child after school classes. Children respond well to her kind heart and the fun that she brings to class. Laura has stepped aside from being an active Kindermusik Educator in our program and is focusing more on the Simply Music piano lessons. We know we will still see her in the Kindermusik studio as a sub from time to time and, of course, in her most important role as a Kindermusik mom. Laura has studied piano since she was a 2nd grader. Her most recent study was with Lola McIntyre. With Mrs. McIntyre, Laura won many contests, including a state title in the Music Educators National Conference contest when she was a sophomore in high school. Laura also has presented two solo piano recitals in her high school years and then went on to study piano at the college level. Having always had a love for singing, Laura began singing with the Indianapolis Children’s Choir as a 3rd grader and continued through the 6th grade. She sang in church choirs, and various Jr. & Sr. High School Choirs, being chosen to sing in the Limited Edition Choir at Westfield High School, their highest ranked choir. Laura also studied voice privately with Kate Roberts for 3 years. Laura and her husband live in Westfield with their 4 children, 2 of whom are Kindermusik age.